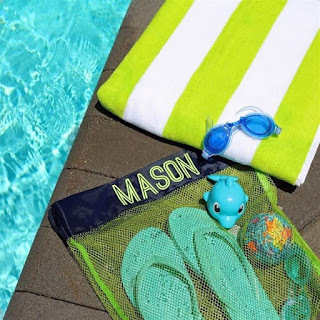 Ending today - Personalized Beach Bags for $8.99 (Retail $20.99). Love collecting shells and special finds with your little ones? Make your beach trips this summer even more special with this mesh beach bag. Perfect for separating sand and water from your beautiful shells and great to carry sunscreen and other little beach necessities. $1.99 for the first item and $0.99 for each additional item. US only. Ships no later than Fri, Apr 27.